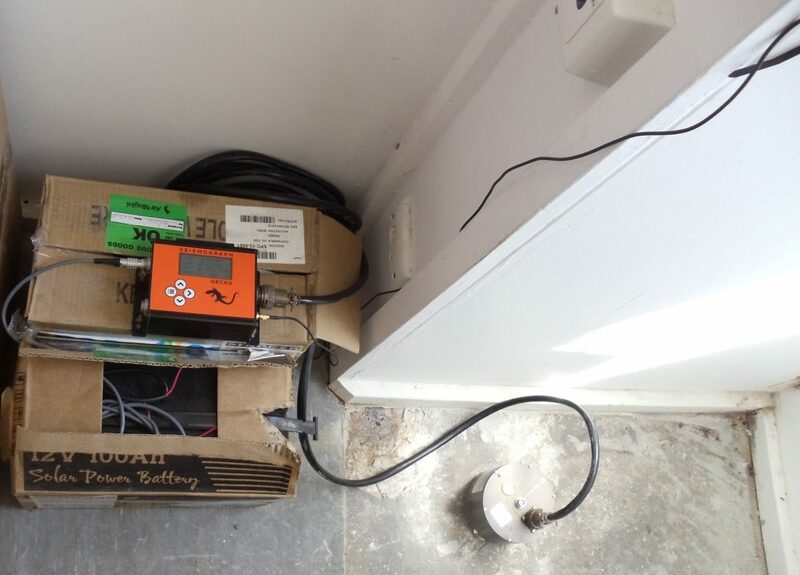 Following the magnitude 7.5 earthquake in the Southern Highlands of Papua New Guinea, Australian seismologists from the SRC, University of Melbourne, and the Australian Earthquake Engineering Society began planning a mission to install an aftershock monitoring network. A package of equipment was put together that comprised six Gecko seismographs (earthquake data loggers) and triaxial accelerometers, mostly provided by the University of Melbourne from equipment previous sourced from the SRC. The accelerographs were installed in locations around the area where the seismic activity continues with the intention to more clearly defining the fault area and hypocentre depths. 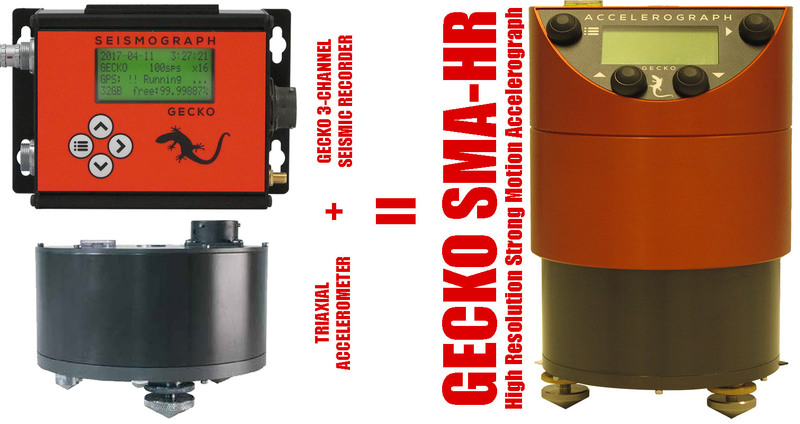 Historically speaking, accelerometers were only used for recording the peak motions that would cause a sensitive seismometer to clip, but some modern acceleration sensors like those used by SRC in the Gecko SMA-HR are highly sensitive and well suited to aftershock monitoring applications. In the first few days of the deployment many aftershocks were detected, with initial data reviews revealing a magnitude 1.2 recorded at a hypocentral distance of less than 20km clearly on one of the instruments, despite the less-than-ideal installation locations. 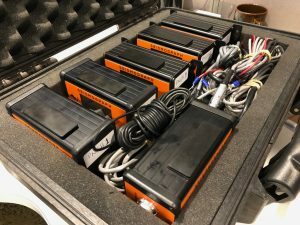 The size of the Gecko Compact recorders allowed 6 units to be packed in a case suitable for carry-on luggage, and the sensors and cables were checked-in. Accelerometers are generally rugged instruments and survived baggage handling without any issues. 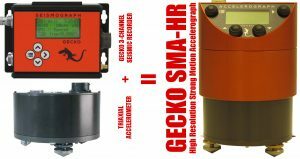 The Gecko SMA-HR combines the recorder and sensor into a single unit to eliminate the weight, volume and complexity of interconnection cables, but none were readily available for this deployment. More details about the deployment mission can be found in this article on the AEES website. If you require any recorders, seismographs or accelerographs, feel free to contact us for further information about the most suitable instruments for your application – whether it’s aftershock surveys, structural monitoring, local earthquake networks, or blast and vibration monitoring. SRC has developed an extensive range of recording and telemetry solutions, and supporting software to make data acquisition and processing simple for professionals and inexperienced users alike.